The Economic and Financial Crime Commission, EFCC on November 23, 2017, arraigned a suspected Internet fraudster, Akpaikpe Etim, before Justice J.E. Oyefeso of the Lagos State High Court sitting in Ikeja, Lagos on an eight-count charge bordering on possession of fraudulent documents and obtaining money by false pretense. 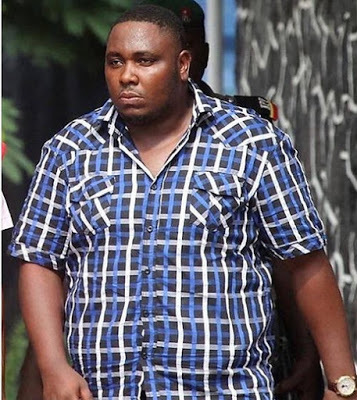 30 years old Etim, who is said to be a member of a syndicate of fraudsters operating in the Lekki area of Lagos, among other alleged offences, obtained the sum of $4,000 from a victim in Singapore, after posting a dog for sale on an online platform. .
Investigation also revealed that the suspect, who does not have a stable job, had several inflows of money into his account, which he could not satisfactorily account for. The suspect who owns 5 mansions in Lekki area of the state pleaded not guilty when the charge was read to him. In view of his pleas, the prosecution counsel, Banjo James, asked for a trial date and prayed the court to remand the suspect in prison custody. In his response, counsel to the defence, O.V. Adoro, urged the court to grant his client bail. However, the prosecution counsel opposed the bail application. Consequently, Justice Oyefeso ordered the suspect to be remanded in Kirikiri Prisons and adjourned the case to February 18, 2018 for hearing of bail application.